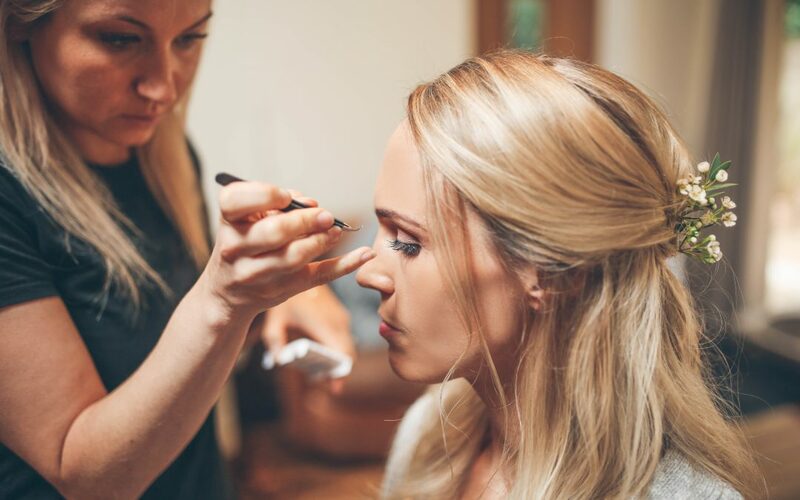 This Autumn, wedding makeup is reflecting nature, picking out the beautiful browns and golds which inspire us, brides are choosing these tones for their eye makeup. There are some wonderful gold eye makeup palettes from the expensive to the affordable – from Charlotte Tilbury to Sleek from Superdrug stores. And MAC has some incredible pigments which will wow your wedding guests. It is great to let the colours of the season influence your wedding makeup. And Autumn is no exception. It can be wonderful to use the seasonal flowers and leaves and incorporate them into your bridal hair style. Go outside this Autumn and get inspired!